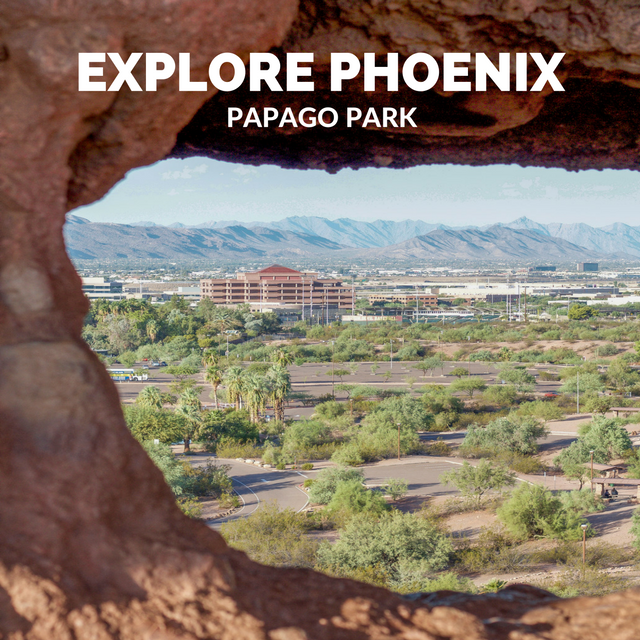 Just a few minutes from Phoenix Sky Harbor airport, Papago Park has some great views of the city! 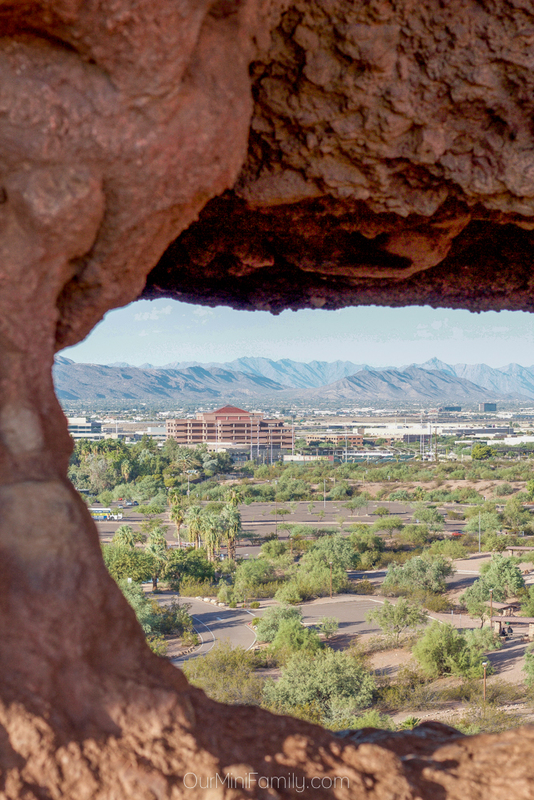 Enjoy a meal al fresco at one of the many park picnic tables by the water, or climb a few sets of stairs and sit inside the Phoenix "hole in the rock." Last week when I was grocery shopping, I had a family stop me and ask me about my Arizona State sweatshirt. This nice family was visiting from Wisconsin, and they wanted to know how I liked living in Phoenix when it was so hot and unbearable outside. Of course I explained to them that the heat eventually dulled down, and "no, it's not always this hot." 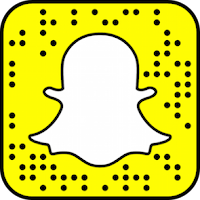 I then went on to boast about all of the things I loved about the city, and all of the different kinds of things to do around town! 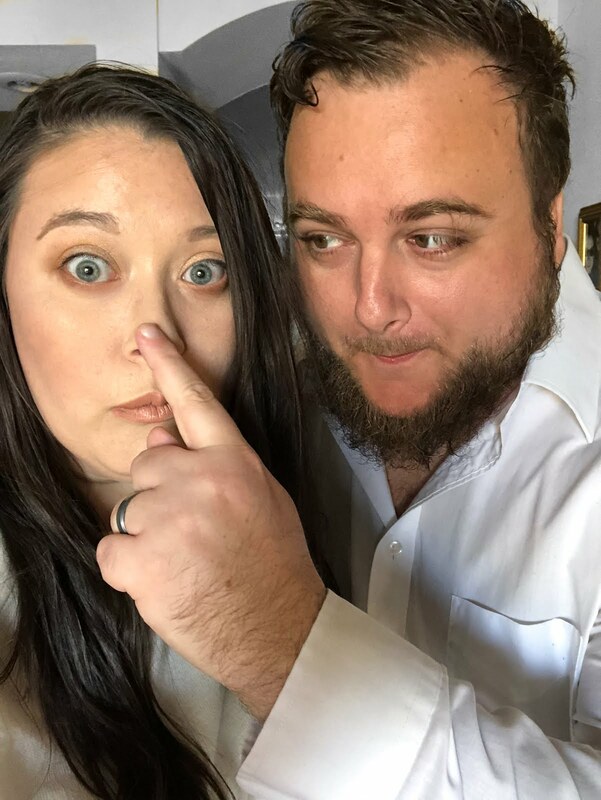 That's when the father asked me the question that sort of haunted me for a few hours--"what would you reccomend someone do if they only had a few hours layover in Phoenix and wanted to get a taste of the city?" I was a bit stumped at first and starting asking him rebuttal questions like "do they have a family with them?" and "are they big sports fans?" The conversation ended shortly afterwards once he realized I didn't really have an answer for him. It was clear that he was not satisfied with my honest answer at the time which was: "you need more than a few hours to really get a taste of Phoenix!" But it's so true! 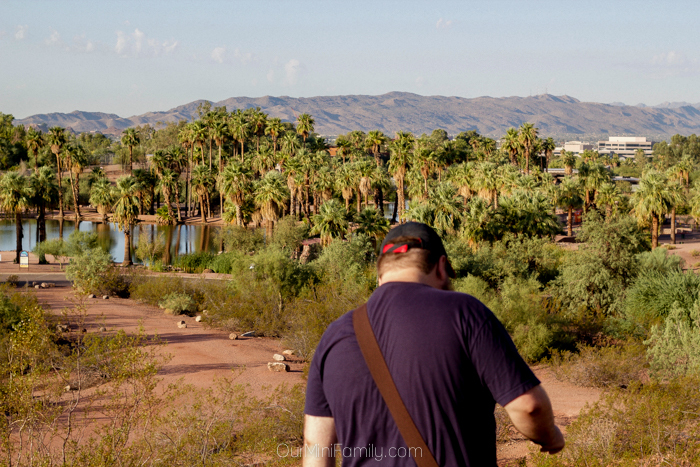 Phoenix is a very diverse city and it's so spread out--there is so much to do and see in town, that it would be hard to give just one answer to someone as to what they should do on a layover in town. However, I forced myself to really think about what is close to the airport that would give a unique experience to someone who has never been to the desert before. 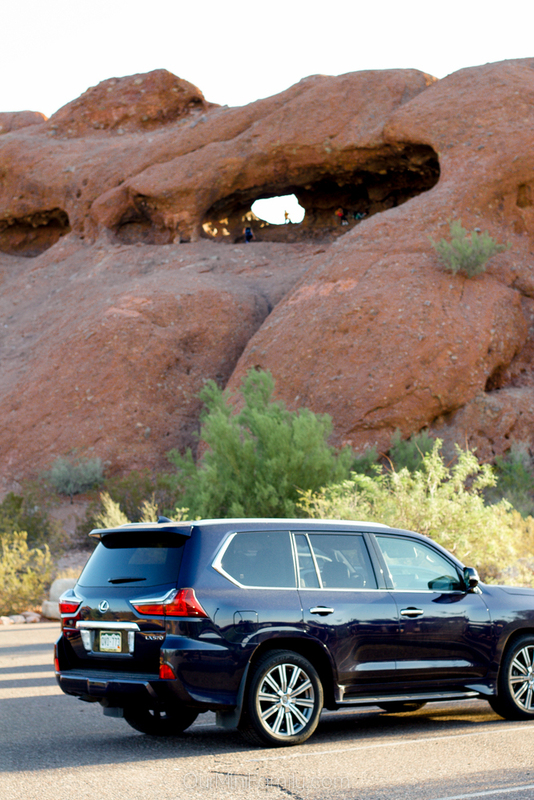 And that's when I remembered Papago Park. 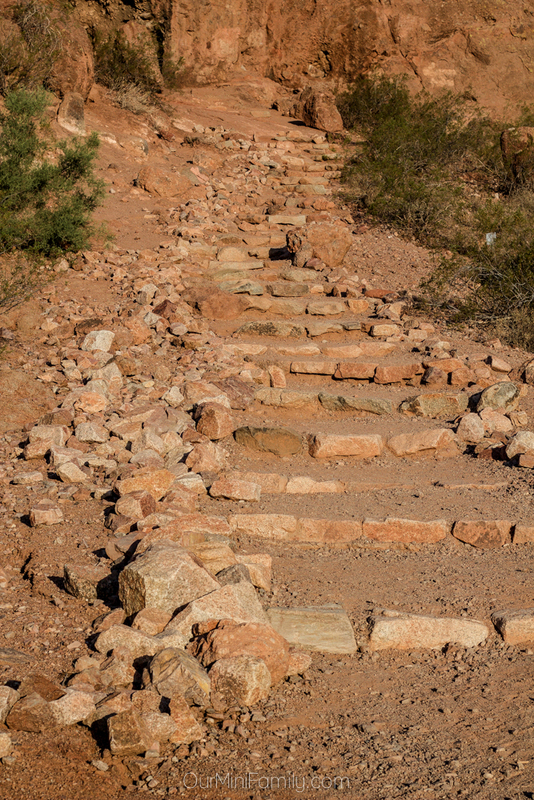 Papago Park was one of the first places I remember feeling overwhelmed with pride for my city--I remember laughing nervously and climbing the stairs up to the top with my new college suitemates, and not feeling so sure about my big move across the country from Massachusetts. 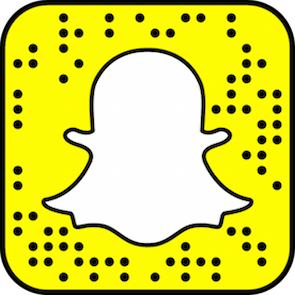 Not knowing anyone and taking on a huge endeavor like going to college so far from home was terrifying, and I was really unsure at the time if I would feel at-home in Arizona. When we got to the top of the "hole in the rock," I remember sitting on the edge and swelling up with pride for my new home. 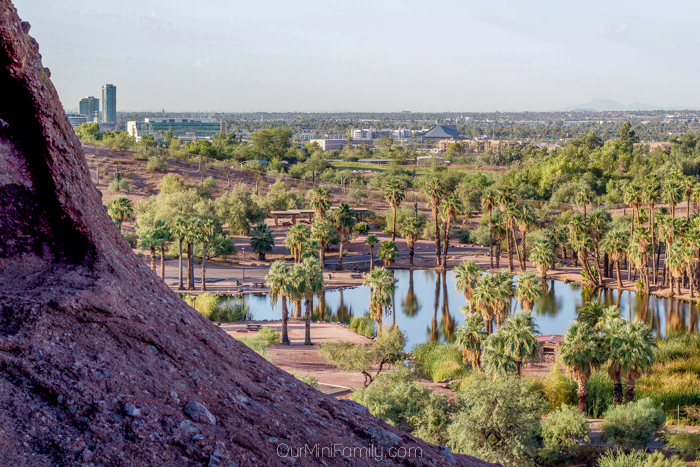 The view of Tempe and Phoenix from the hole is great, and sitting up there is something that brings me joy every time I do it. Adam and I got up early the other day and drove the Lexus down to the park, and we enjoyed an early morning climb and we admired the city from the top of the rock. 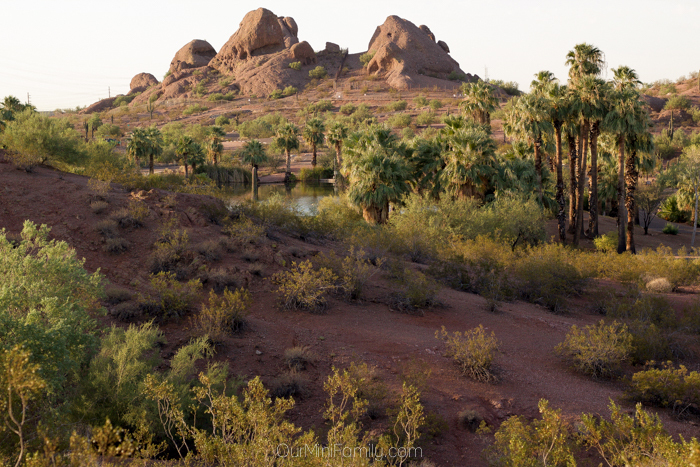 Papago Park is certainly a great stop for anyone who only has a few hours in Phoenix, since it offers a taste of the desert and some views of our hugely spread out city. 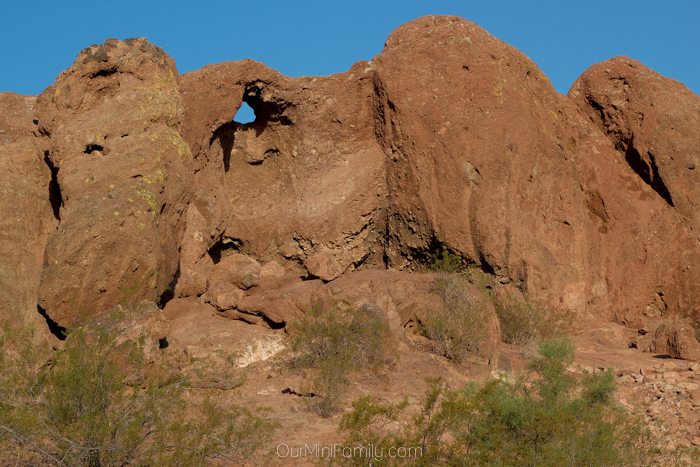 I wish I could go back and tell that Wisconsin family about Papago and the "hole in the rock," since it's such a wonderful site to see. This looks like a great place for hiking and I'm sure you guys would have had a fun day. 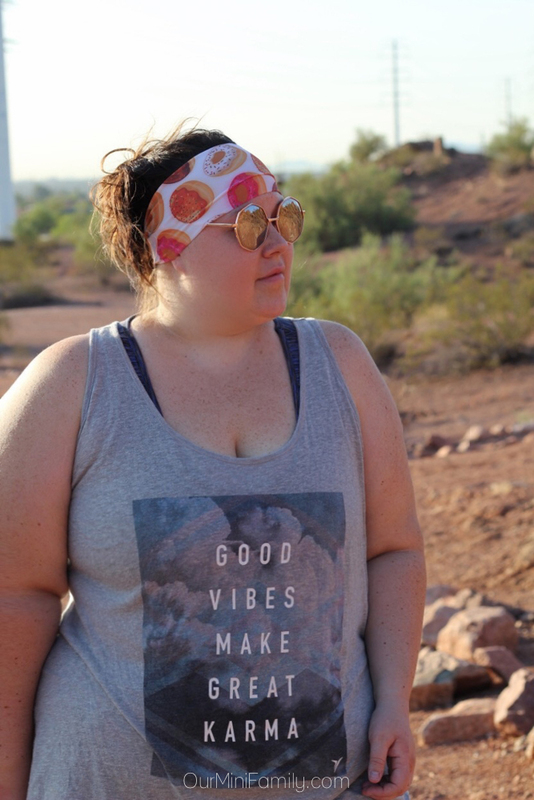 Loving the Good Vibe T-shirt ! I love places like this. Totally natural and so beautiful! I like the museums in Phoenix a lot. Oh wow! This looks like an amazing place to visit, great for the entire family!